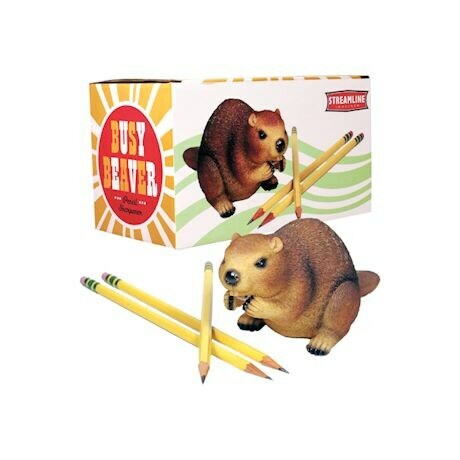 Do you chew on your pencils? 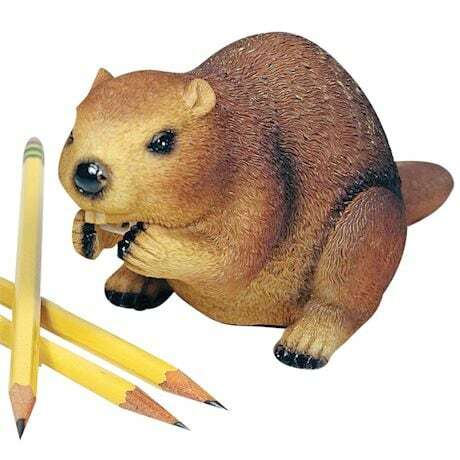 So does this guy, with better results: An adorable beaver has a pencil sharpener hidden behind its efficient incisors. 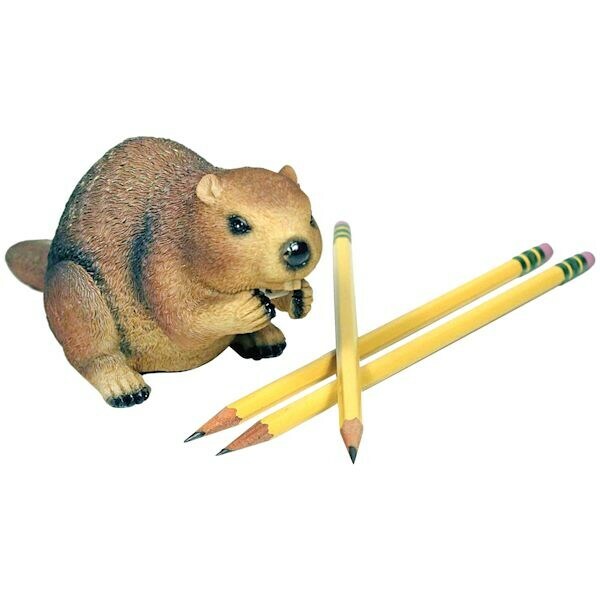 Inserting a pencil in its mouth creates a keen, perfect point, so it's a must for anyone who loves a little dam humor on their desktop. 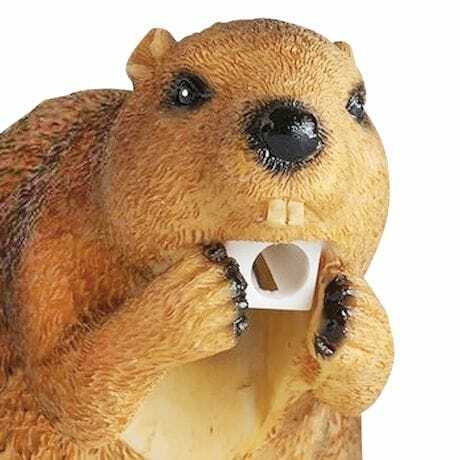 Shaped resin. 2¾"x 7"x 3¼".